If you enjoy wonderful photography then this series of photos from photographer Andy Seliverstoff’s book “Little Kids and Their Big Dogs” is sure to warm your heart and bring a smile to your face. I was trying to choose a favorite photo and I couldn’t as they are all just so wonderful. 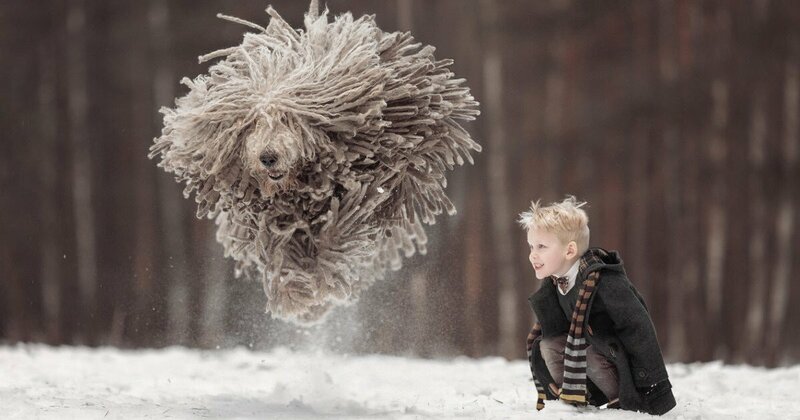 I’m sure these kids and their families will cherish these photos of them and their big dogs for years to come. If you enjoyed this video then you might also like to see this adorable Little Boy and His Dog.